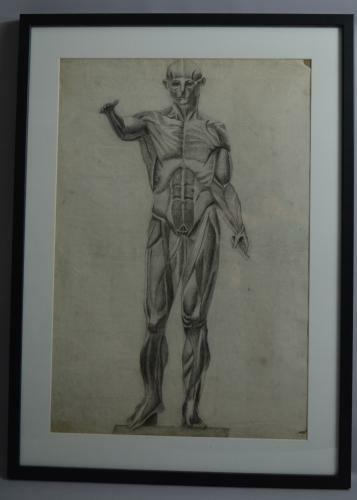 A Anatomical charcoal drawing of a man defining all the muscle groups. c1900 from an old French collection. Framed in a new black frame.